Volunteers have an enormous impact on the health and well-being of our community. There are many volunteer opportunities available here at Martin County and we hope you will find one or many that interest you! Martin County’s five Commissioners are each elected to serve a four-year term. Each member is elected at-large but represents a geographic district within the county. The Chairperson of the Commission is elected annually by the other Board members and presides over all Board meetings. 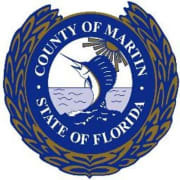 Martin County aims to assure, on behalf of the public, the health, safety, and general welfare of the County, to provide the citizens with necessary public services and to make the community a pleasant place in which to live and work. Every employee of the County has an important role in providing these services. Would you recommend Martin County Board of County Commissioners?